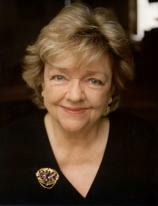 Maeve Binchy was the author of MINDING FRANKIE, HEART AND SOUL, NIGHT OF RAIN AND STARS, SCARLET FEATHER, QUENTINS, LIGHT A PENNY CANDLE, CIRCLE OF FRIENDS, and TARA ROAD (An Oprah Book Club Selection), and many other bestselling books. She wrote for Gourmet; O, The Oprah Magazine; Modern Maturity; and Good Housekeeping; among other publications. Binchy passed away on July 30, 2012 at the age of 72, following a brief illness. Considered a national treasure in her native country of Ireland, she died in Dublin near her childhood home, where she lived with her beloved husband, Gordon. A FEW OF THE GIRLS brings together, for the first time, 36 of Maeve Binchy’s very best stories --- some published in magazines, others written for friends as gifts, many for charity benefits, all of them filled with her trademark warmth, wisdom and humor. Written over a period of decades, these stories show that while times change, people often remain the same: they fall in love, sometimes unsuitably; they experience heartbreak, compassion and redemption; they hold to hopes and dreams; and they have friendships --- some that fall apart, and a few special ones that endure. From the beginning, Maeve Binchy’s writings reflected the warmth, wit and keen human interest that readers would come to love in her fiction. From the royal wedding to boring airplane companions, Samuel Beckett to Margaret Thatcher, "senior moments" to life as a waitress, MAEVE’S TIMES gives us wonderful insight into a changing Ireland as it celebrates the work of one of our best-loved writers. The late Maeve Binchy imagined a street in Dublin with many characters coming and going, and every once in a while she would write about one of these people. She would then put it in a drawer; "for the future," she would say. The future is now. Across town from St. Jarlath’s Crescent, featured in MINDING FRANKIE, is Chestnut Street, where neighbors come and go. Behind their closed doors, we encounter very different people with different life circumstances, occupations and sensibilities. When Chicky Starr decides to take an old, decaying mansion set high on the cliffs overlooking the windswept Atlantic Ocean and turn it into a restful place for a holiday by the sea, everyone thinks she is crazy. Helped by Rigger, a bad boy turned good, and her niece, Orla, Chicky is finally ready to welcome the first guests to Stone House’s big warm kitchen, log fires, and understated elegant bedrooms. MINDING FRANKIE centers on the native people of the Irish countryside, transporting us to tranquil shores of a deep-rooted landscape. The book presents dozens of personal stories that show a greater evolution of people's lives and envision a kind of synergy and commonality between those with different values and backgrounds.